The EIA has released its latest Drilling Productivity Report. There were some interesting data presented in the report. The EIA says the Bakken will get 51,000 barrels per day in July from new wells but legacy wells will decline by 80,000 barrels per day leaving a decline of 29,000 bpd. The EIA says Eagle Ford peaked in 1,711,376 barrels per day in March and will have declined by a total of 117,971 bpd in July. The EIA says Eagle Ford will get 90,000 bpd from new wells in July but the decline from legacy wells will be 139,000 bpd leaving a decline of 49,000 bpd. The EIA says Niobrara got 25,000 bpd from new wells but the legacy wells will decline by 42,000 bpd resulting in a decline of 17,000 bpd. The EIA has the Permian not yet peaking but production leveling out. Production from the Permian in July, the EIA says, will be 2,059,851 bpd. The EIA says production from new wells will equal 74,000 bpd in July and the decline from legacy wells will be 71,000 bpd leaving a net gain of 3,000 bpd. Almost half the Permian production comes from conventional wells therefore the legacy decline is not nearly as great as from pure LTO plays. 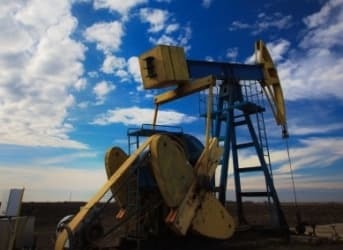 The EIA says the total of all seven shale plays peaked in April at 5,694,580 bpd and will have declined by 208,782 bpd in July. The one month decline, June to July, the EIA says, will be 93,027 bpd. These July numbers are still 142,720 bpd above the production numbers they have for December. However if the decline they they predict in July continues, then production in December 2015 will about 322,000 bpd below the December 2014 numbers. We thought this day was coming. Thank you for pulling all the data I a concise form.